Create Powerful Awareness for Your Products and Services with Award Winning Branding, Packaging, Tradeshow, Brochure and Web Design Capabilities. Successful branding is an integral part of developing products in today’s increasingly competitive global marketplace. For retail products that require distribution to professional services, from pet products to food to real estate, every brand requires precise positioning. The positioning of brands creates a relationship or a connection between the brand and the customer, building loyalty and increasing sales. Who is your customer? Where and what do they purchase? what are their expectations, wants and needs? All these questions are answered to create a fit between your brand and your target market. Branding is my emphasis. A brand’s look & feel defines a styleguide that sets in motion packaging, trade shows, websites and printed materials, all instantly recognizable. I design and produce beautiful, custom packaging solutions for any product. My portfolio includes food products, car accessories, pet products, cosmetics, entertainments and electronics. Your style guide and brand identity are always key for making sure your packaging looks and feels congruent with the rest of your print and digital communications. Lines and line extensions are branded in uniform fashion to be easily recognized by your customers, while keeping a clean differentiation between individual products or flavors. Each package is catered to fit a specific market or demographic, and to standout in a large, highly competitive marketplace, both online and on brick and mortar store shelves. A great platform to launch new products, get known and connect with new customers, tradeshows are an inseparable part of brand strategy on an annual of even monthly basis. 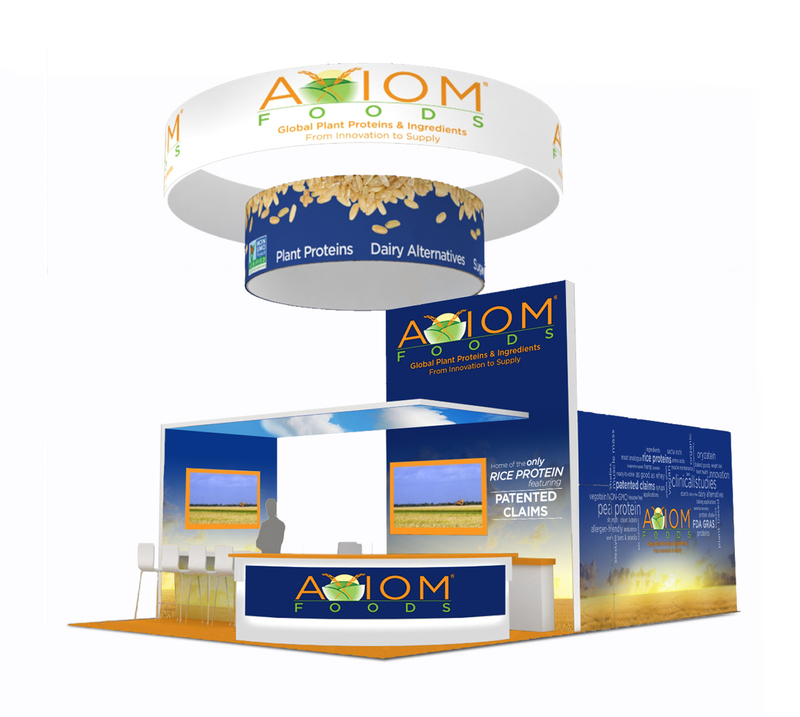 From large, colorful tradeshow booths build for large companies to smaller, floor and tabletop displays, banners and posters, I design and produce full tradeshow booth packages for any industry. My work has been featured in large, nationwide shows from Comdex®, E3 Electronic Expo®, Natural Food Expo, Ingredients Food Technology and others. 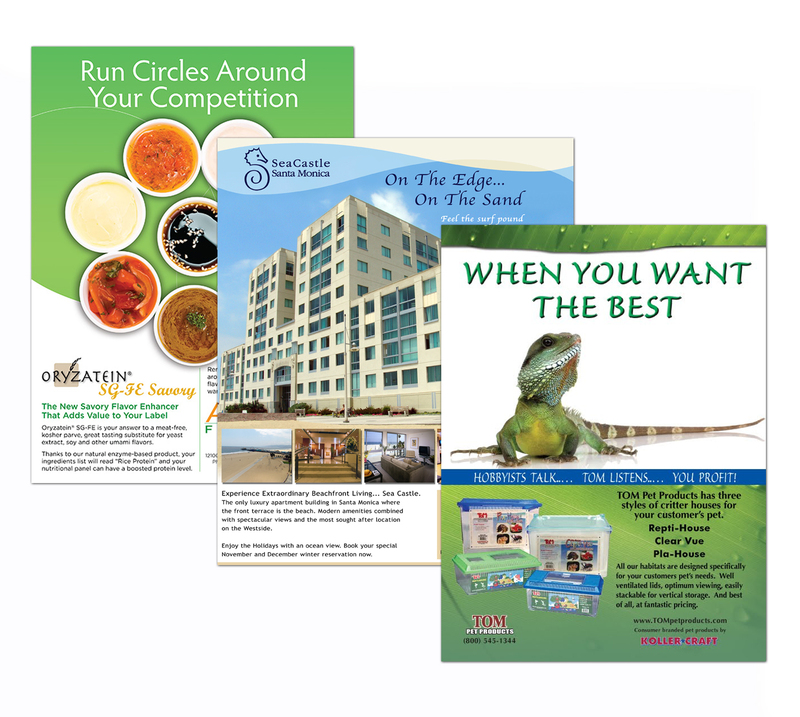 Designing and printing colorful, effective brochures and catalogs, especially for trade shows and mailings is crucial to communicate your product or services to your new or current customers. From complete photography, copywriting and layout design, to professional quality printing, your brochures will create a lasting impression. Make It Stand Out! From multipage catalogs, product sellsheets, restaurant menus and impressive real estate property brochures that convert potentials to customers. Working with my clients to identify specific needs for their products or services, I have created a range of solutions from single ads for a one-time run, to full advertising campaigns, in both print and digital formats. Whether advertising new products, line extensions, services, or new real estate properties, ad designs always conform to the brand’s look and feel, targeted toward specific customer demographics in beautiful, bold color. I have been building websites since 1998 for a variety of clients in many different industries. From E-Commerce to Word Press, Database-driven sites to Content-management, I’v built successful websites from experience and passion for good, effective design. 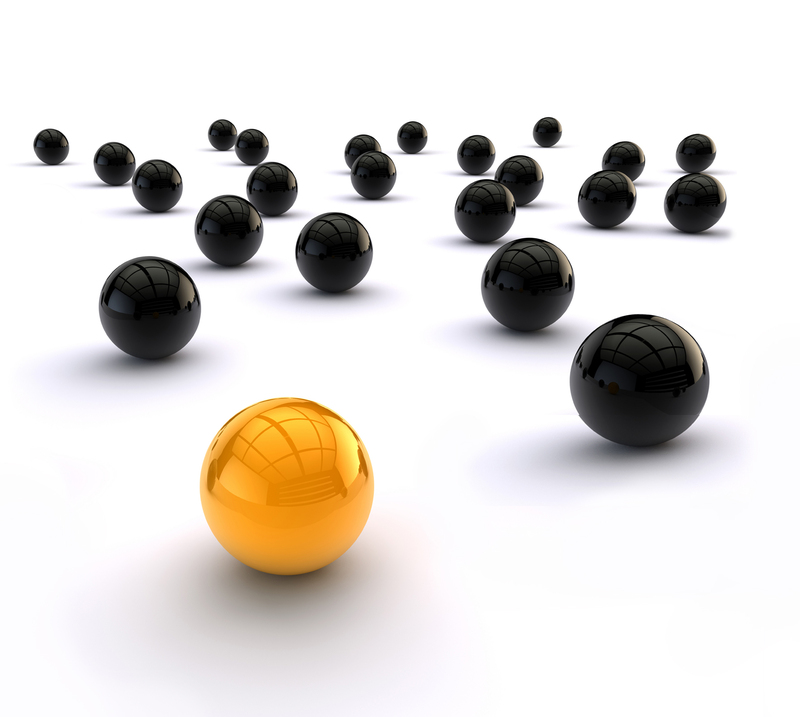 Different companies require different approaches to their online solutions. WordPress has become increasingly common due to its adaptive nature (will fit on any screen), ease of use and its backend capability to update the site without knowledge of HTML. I plan each project independently to achieve my customers’ intended goal, from awareness to online sales. Chris Shemza was responsive, reliable, insightful, and helpful in redesigning our website. We communicated what we wanted out of our website, and the audience we were targeting, and Chris built our concept into an attractive and effective website. Chris was very cooperative in accommodating our requests and very patient when we requested modifications. We are very pleased with our website and are looking forward to another opportunity to use their services again. Joey Aragon, ARAGON CONSTRUCTION, INC. I just wanted to take a moment to express to you how pleased we are with the design and layout of our new website. Your intitial concepts were not only quick development but also difficult to choose from in that all of them were relevant and close to the mark with respect to the image and values we are trying to convey. Our project was completed both on‐time and within budget which seems to be a rare commodity today. It’s been a pleasure working with you and I look forward to our next project. Chris Shemza had the best price for the high-quality work we were looking for. Once we got started, I knew he was on top of his game with regard to making our tight deadline and collaborating to design our tradeshow booth exactly how we envisioned it. Chris followed up with emails and phone calls regularly. He gave special attention to design details and delivered a quality product that we are very proud to display at medical conventions nationwide. SoftScript recommends Chris and we look forward to working with him again. Chris, Just wanted you to know that I brought my new packaging to 4 Santa Barbara stores today, and because each manager was so impressed with how they looked, all kinds of new opportunities are being presented to us. They packages really look fabulous. A few words to describe the Chris Shemza: Professional, Reliable, Creative, Visionary. I came to them requesting a clean professional website. I received a website beyond my expectation. Absolutely beautiful! We are now working on a second website, a new corporate identity and more. Working with Chris has been a pleasure and I look forward to the next project. Michelle Mullen, EXPRO MANUFACTURING, INC.
Serge Shirikjian, CFO, CANFIELD DEVELOPMENT, INC.
Chris Shemza is, and works with very skilled designers who are easy to work with. The creativity and technical expertise was superior in all aspects of the job. Chris listens and helps define your needs for the desired effect that reflects your business. He is a good resource with many clever ideas. Tell him what you need and he will get it done. He shows a lot of commitment to your project. Thank you for a sensational job. I highly recommend Chris for anyone seeking a web site, creative brochure designs and marketing materials.